I can’t believe how quickly today flew by! 🙂 Today I went to a cooperative grouping strategy training. Have you all ever heard of Kagan strategies? Well…they are all the rage in my county! 😉 After today’s training, I can totally understand why! 🙂 I really think that the implementation of some of these strategies in my classroom will make a big difference in the way my students learn! Here in Florida, we are being evaluated under a new system. The system was developed by a man named Marzano. There are four different domains. Basically, the classroom and your way of managing instruction is part of the first and most critical domain. Within domain one, the area that I wanted to focus on was ‘Organizing Students to Practice and Deepen Knowledge’. Ideally, what’s supposed to happen after I declare this my goal for the year is that I will be meeting with an administrator to discuss what that will look like in my classroom. 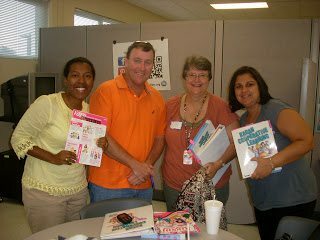 Utilizing Kagan structures will make a huge difference in the way that groups of students collaborate. Let me give you an example. If you teach a lesson and then ask students to respond to questions about that lesson afterwards…you are only engaging one student out of …let’s say…20. That’s only 5% engagement. If you put your students into quads for a project…it is hard to judge who is actually working and learning at one time…but potentially, it can be, at any one time…1 out of 4. That’s only 25% engagement. 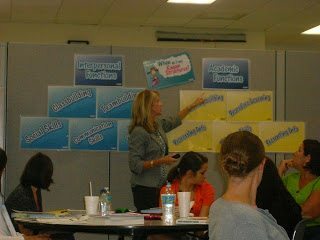 Using a cooperative grouping strategy…such as Quiz-Quiz-Trade, for example…where the students are paired up to ask each other one question and then switch partners…in that setting…1 out of 2 students are talking, practicing, or reviewing their learning at one time. An ideal lesson utilizing the common core properly requires that all students are having the opportunity to speak, listen, write and work on language. Using this type of a structure will give them the opportunity to do three or possibly four within a lesson. Here’s my trainer discussing both the interpersonal functions and the academic functions of using cooperative learning. Here’s my dear friend and educational ‘sista’…Noris! She makes those PIES strategies look GOOOOD, doesn’t she! 🙂 She team teaches a third grade ESE class. PIES is the method by which we determine if a cooperative grouping strategy is MOST effective. 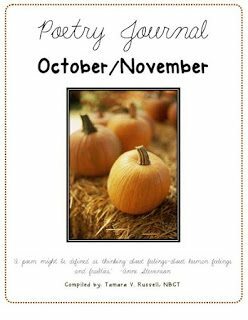 I told you that when I posted my new October/November Poetry Journal poems on TPT, I would let you know. 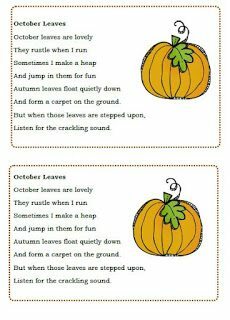 🙂 I picked out some pretty cute poems that I think the children would really like. Some of the poems are more challenging in this packet. I did that intentionally so that I could offer my students more complex text while I worked on scaffolding techniques. The cooperative grouping training that I am going to for the next two days will really be part of shaping a slightly new direction for my future journal packets…but a direction which will have a deeper look at how to help children navigate the Common Core standards and also on a way to integrate cooperative grouping techniques to deepen student understanding of the text, and word attack skills. Below are some photos of the cover of this month’s file, and two of the poems I selected. 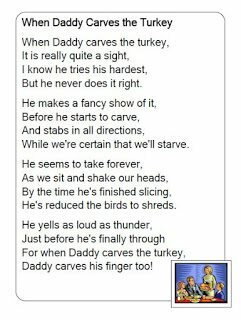 The whole packet can be downloaded for free on TPT. Previous Post: « Currently: A Linky with Farley from Oh Boy Fourth Grade!